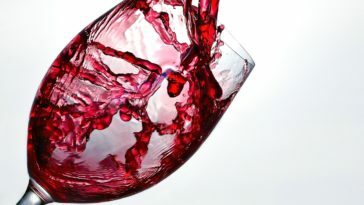 Most wine lovers prefer stocking up bottles of good wine in order to have extra when hosting people or to have it age slowly. Whatever your reasons for stocking up, you need to invest in a great corner wine rack. A corner wine rack comes in different shapes and sizes. Designed to hold bottles of wine until when you need them, it is great at saving space since it holds a large number of bottles in a very small space. 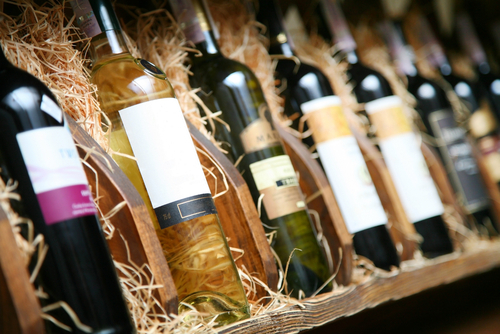 With the influx of wine racks in the market today, getting the right one can be a hassle. 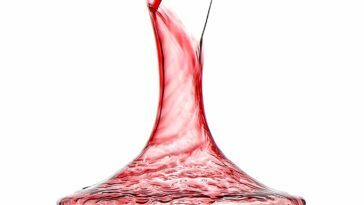 This is why I have come up with a corner wine rack’s buying guide to furnish you with the information that you need to identify the best. 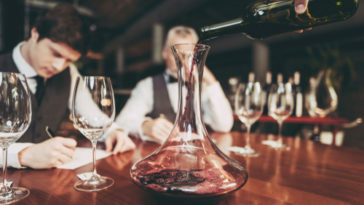 Besides the comprehensive buying guide, I have also reviewed three of the best corner wine racks that you will find in the market to give you an easier time settling for the right one. Wine racks are perfect for displaying and storing wine. This is because they store wine in one location, thus helping you to utilize your space optimally. Moreover, they make the room look modern and organized. Wine racks come in different styles and shapes. A nice piece will add class to any room and make your guests jealous of your little addition. It also makes a great gift for a wine lover. 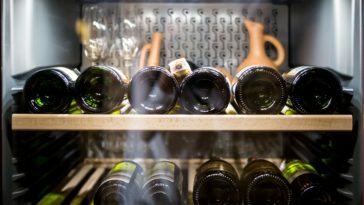 On a wine rack, wine bottles are stored horizontally. 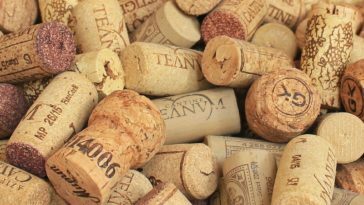 This is important because it keeps the cork wet to prevent drying out and crumbling. This type of wine racks is designed to hang from your wall. Wall mounted racks will hold your bottles of wine securely in addition to being decorative pieces. They are a great choice for people with limited floor space but lots of empty walls in the house. 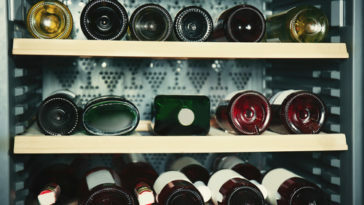 Most of the wall mounted racks, however, are small and only capable of holding a limited number of wine bottles. This is because hanging a heavy item on a wall increases the risk of it falling off. These are easily placed on a countertop in your kitchen or a table, which saves on your floor space. 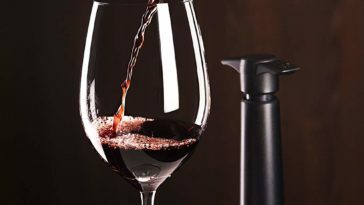 Most are small for easy handling on a counter even though there are others that are large and capable of holding up to 40 bottles. Floor racks are the best for enthusiastic wine collectors. This is because they can store a large number of bottles without having to stress about height and weight limits. Small floor wine racks are also stylish even though they will only hold a fewer number of bottles. These are hung from a ceiling or below a cabinet. In addition to storing your precious bottles, this type will also add sophistication to your kitchen. Hanging racks also save on counter and floor space since they hang in the air. When using this type of racks, however, it is imperative that you get a sturdy piece that will not bring your wines tumbling down. Size and capacity: a good corner wine rack should be able to fit in the space that you intended for it. It should also be able to hold the number of bottles that you have. If you only have a few bottles of wine, countertop, hanging, or wall mounted racks will work best. However, if you are looking to store an entire collection, a floor corner wine rack is the best. This is because it is not limited by weight and height. Wines also come in different shapes and sizes. If you buy different kinds of bottles, it is critical to have a rack that can accommodate such differences. 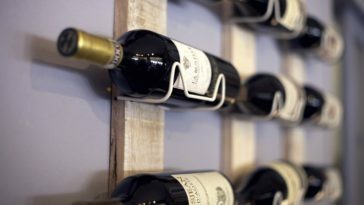 Material: Most wine racks are made of wood or metal. 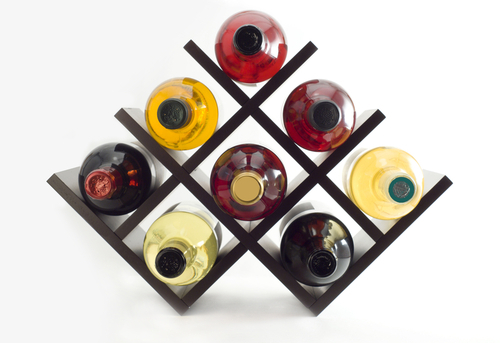 Metal wine racks come in different colors and modern styles while wooden wine racks provide a more classic look. Both materials are strong enough to be incorporated in a wine rack. In this regard, choosing the material for your rack should be based on personal tastes and preferences. Budget: The price of a wine rack often depends on the material used to make it, its style, and its size. As a result, high capacity wine racks are often quite expensive while smaller ones are relatively cheap. Designer pieces will also cost more as compared to regular ones. With the different wine rack’s styles and sizes available in the market, you will definitely find a corner wine rack that is within your price range and meets all your storage needs. Extra add-ons: some corner wine rack brands feature extra helpful additions to their structure. For example, some racks have a drawer to store your wine accessories. Others can act as tables and cabinets. Getting a corner wine rack with extra features is important because it will help you save on space. It will also help you avoid buying such accessories separately. A corner wine rack with extra features can come at a higher price but I call that value for money. Featuring a remarkable design, this wall-mounted wine rack stores both your wine bottles and glasses. Its attractive design also makes it a great decorative piece for your kitchen. 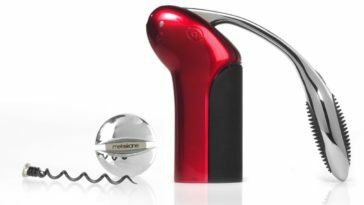 Moreover, you can get it as a functional yet beautiful gift for any wine enthusiast in your life. Holds up to 5 bottles and 4 glasses: the top part holds the bottles while the glasses hang under the rack. With this wine rack, you also get a storage space under the bottle holder that you can use to store your corks. For a wine lover, this is a great option because it helps preserve the memories. Door for easy access: the door on this corner wine rack had become a sore issue for different users. Most users complained that the door was getting stuck, thus making it hard to access your wine collection. Sudoku fixed the door and now the opening problem is a thing of the past. 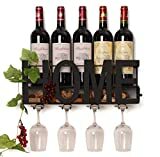 Dimensions: 17.0″L x 4.8″W x 7.3″ H: this Sudoku corner wine rack is wall mounted. As such, it needs to be small and compact so as not to be too heavy when full. The package also comes with all its installation screws for easy mounting. Weighs 3 pounds: the weight of a wall mounted corner wine rack is of paramount importance. 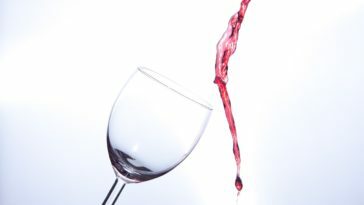 This is because wall mounted racks are more prone to falling as compared to the regular floor and countertop wine racks. Installation is also easier if the rack is lightweight. 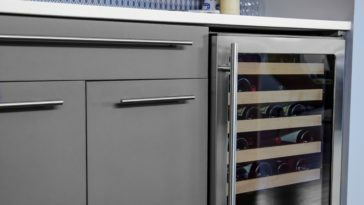 If you are looking to store wine but you have limited floor and counter space, this could be the perfect option for you. This wine rack looks great on any wall and is easy to mount. With it on your wall, it is no doubt that your friends will want to know where it came from. 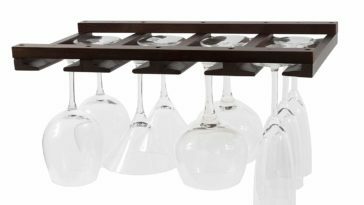 With an ability to hold up to 6 bottles of wine, this rack is ideal for wine enthusiasts and new collectors alike. It comes in three shades: black, white, and bamboo, thus allowing you to make a choice based on your house’s appearance. Flat surface design: this corner wine rack can be placed on any table top. The horizontal shelves give a freestanding surface for any table, shelf, and counter surfaces. The surface design allows the rack to hold the bottles in place to minimize the risk of falling out or tilting. Classy wooden look: this is a great piece if you are looking for a countertop corner wine rack with a more traditional look. It is made from high-quality wood that can blend in with any decor. Two wine racks can be placed side by side for a bigger wine display. Foldable when not in use: for easy storage, this corner wine rack can be folded up. The open rack measures 14″ L x 8″ W x 8″ H when open and 14″ L x 11″ W x 2.75″ H when folded. This reduces the wine rack’s height for easier handling. 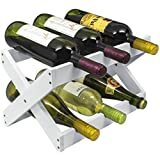 Compact size: at less than 2 pounds and with its small dimensions,the Sorbus bamboo corner wine rack is easy to mount and fit even in small places. Beautiful and efficient is how I can describe this timeless wooden household fitting. Coupled with magnificent bamboo, this wooden rack is a fabulous piece to have standing on your counter and table surfaces. 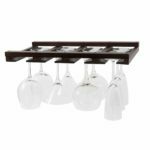 Highly functional, this corner wine rack holds your wine bottles securely and its tabletop design makes it easier to serve wines and hold the bottle and glasses. 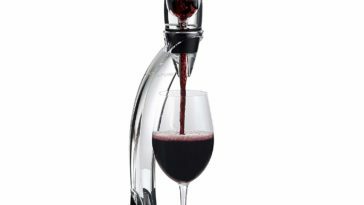 It comes in handy since you can place it on the floor in any part of your house, thus ensuring that your wine bottles are close by. 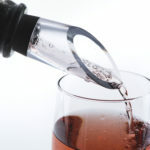 Holds 11 bottles of wine: the metal rack holds the bottles in place securely. 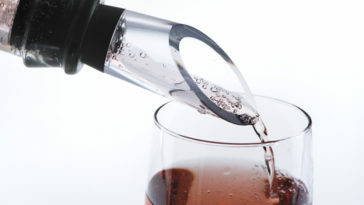 The wine rack has circular bottle spaces that provide a more customized hold on the bottles. Beautiful finish: this Kings Brand Furniture corner wine rack comes in both black and marble finishes to deliver a striking piece. It is made from both wood and metal, materials that enhance functionality and beauty. Made in US: products made in US are known to be of superior quality since they are made to conform to the highest standards. This piece will definitely get your friends talking about how they need to buy one just like it. What stands out for me the most is the convenience of storing it on the floor in any part of your house. 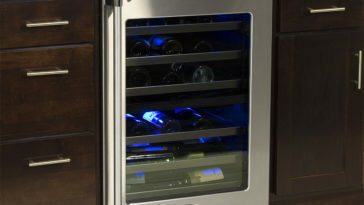 When looking for the best wine rack, your space and preferences take charge. A small functional corner wine rack can work if you just need to keep a few bottles of wine. 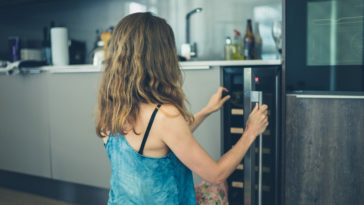 If you are a wine connoisseur and want to stock up bottles of wine, however, you might need a big rack with a large capacity.